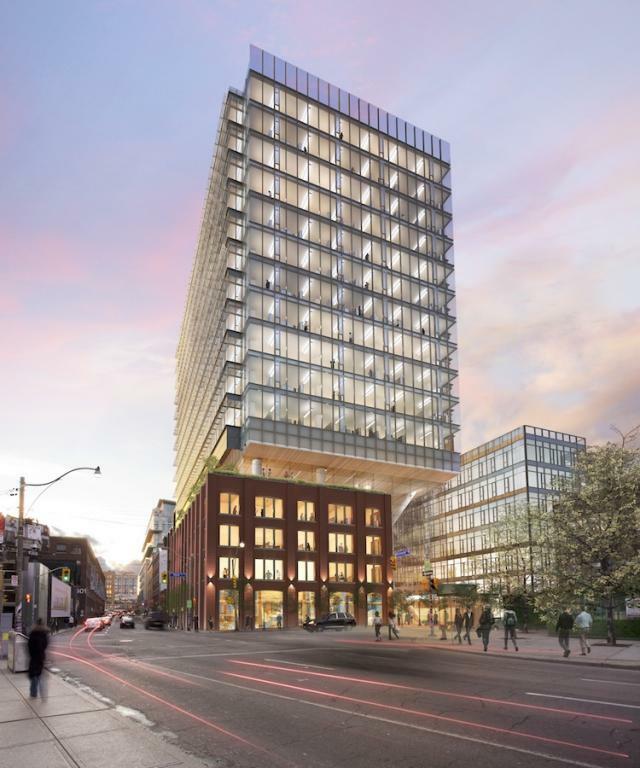 QRC West is a landmark development in Toronto's Downtown West. QRC West elegantly merges the past, present and future in a prominent urban setting. It features the adaptive reuse of an existing historic building and offers forward-looking companies character space with impact. QRC West creates a healthy and sustainable work environment, promoting reduced absenteeism, increased employee productivity and improving employee attraction and retention. QRC West offers tenants the best of everything downtown. QRC West is at the forefront of smart design and offers maximum flexibility for occupants. Smart design ensures that tenants benefit from up-front and on-going cost savings, while also achieving their corporate social responsibility objectives. Intrigued by this exciting opportunity? For a complete overview of how your company can achieve its corporate social responsibility goals, use less energy, reduce occupancy costs and attract and retain talent, please contact the QRC West Leasing Team.